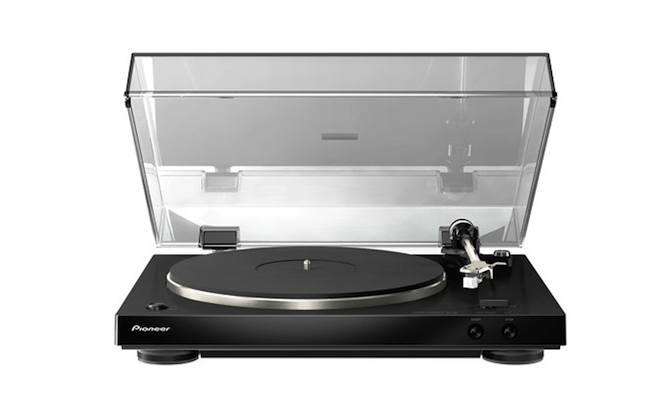 Pioneer launch their PL-30 home turntable for the “new generation of vinyl listeners”. Following the launch of their new professional DJ turntable last summer, Pioneer have unveiled a new audiophile turntable for home listening. The PL-30 will hope to combine audiophile quality with convenient and and accessible set up at an affordable price, with a built-in phono equalizer and a pre-mounted stereo phono cartridge thrown in. As Pioneer’s Chris Walker says “There’s a resurgence of people who want to play records again, so we developed a turntable for this new generation of vinyl listeners.” With 26% of young people apparently not listening to the music they buy because they don’t own turntables, Pioneer might have found a gap in the market.